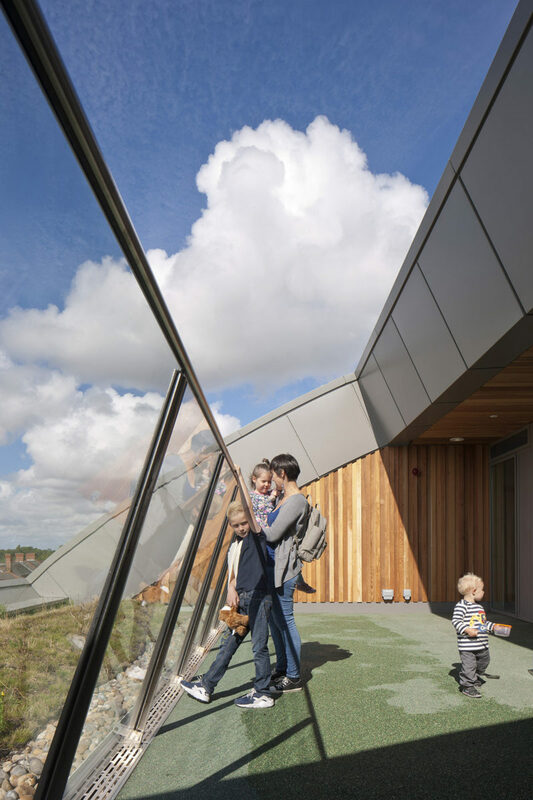 Recognising the therapeutic value of nature, the three-finger plan form gives almost all rooms a view of the park and provides balcony ‘playdecks’ at the end of each ward that connect children with the outdoors even if they have a long inpatient stay. Internally, the goal was to make way-finding simple and stress-free and to get away from the long labyrinthine corridors characteristic of the hospital’s previous buildings. 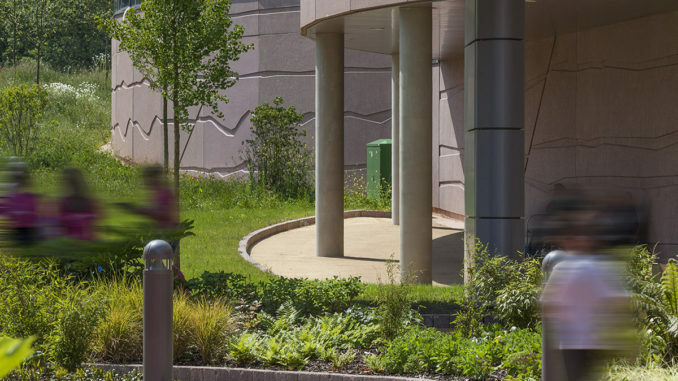 This open feel begins with the atrium concourse, a five-storey high space that links the building’s two principal entrances and gives visitors an immediate appreciation of the hospital’s layout and a reassuring sense of its life and buzz. The sense of openness extends to the clinical areas, where sliding glass doors have been used in all bedrooms to optimise observation and daylight. In the Critical Care Unit this approach has produced an innovative layout with patient bays curved around a central staff base and roof light which floods the 8-bed cluster with daylight. The fingers vary in plan and section from floor to floor, adapting very successfully to the functional requirements of the different clinical areas: from deeper plan diagnostic and treatment areas, like A&E, Imaging, Theatres and the 48-bed Critical Care Unit on lower floors, to shallower plan wards with 75% single rooms on upper floors. 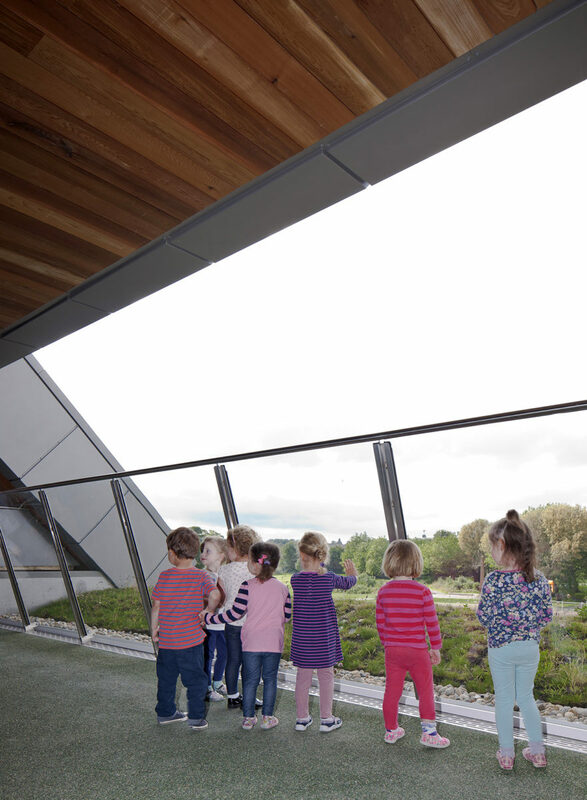 This flexibility allowed the design team to take maximum advantage of the extensive consultation process with staff, children’s and family groups, progressively adapting and refining the layouts in response to comments without the constraints of a preconceived external form. 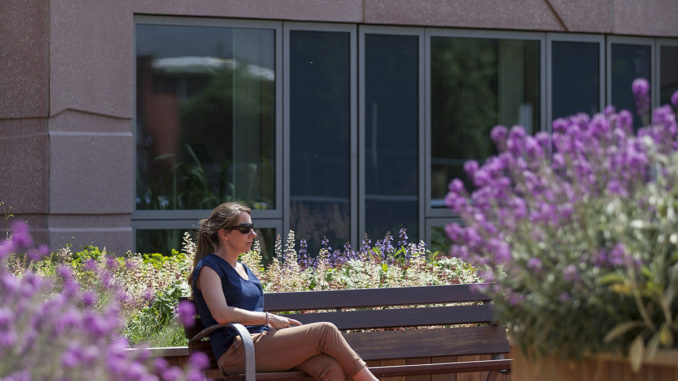 The integration with the park is enhanced by extensive landscaping on and around the building, a level of investment in outdoor space that is unprecedented for a UK hospital. The new gardens (a fusion of Springfield Park and space vacated by the old hospital) follow a campus masterplan developed by BDP as part of the hospital’s long term vision, providing a welcoming range of spaces for active use by children and families or more contemplative enjoyment as well as clinical expansion zones. 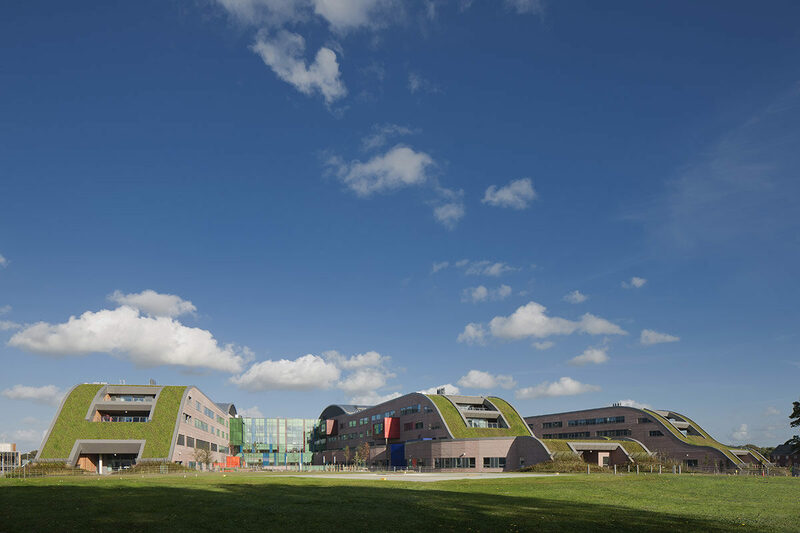 Alder Hey Children’s Hospital has won a RIBA National Award, one of 46 projects to be given the accolade, and one of only three healthcare projects. 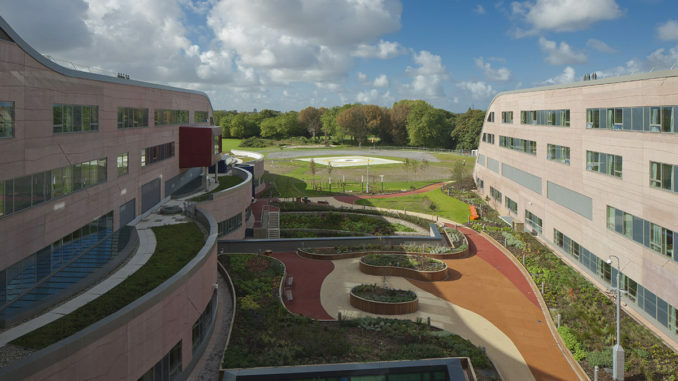 “If we’ve seen it before, it’s not for us” was the challenge set in 2010 by Alder Hey Children’s NHS Foundation Trust, which called for a unique paediatric environment that, together with adjacent Springfield Park, would form an integrated Children’s Health Park. 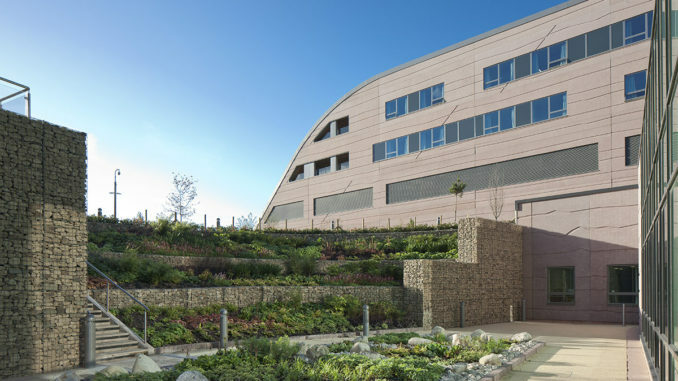 Its hilly, undulating profile has made the new building instantly recognisable, even from a distance: a striking identity that stands in deliberate contrast to the typical idea of a hospital and the institutional nature of the existing Alder Hey which it replaces.